Barcelona is Europe’s hippest city, a barrage of vibrant colours, sun, smells and fun- it’s as quirky as it is timeless. Capital of Catalonia and Spain’s second city, it’s a exciting artistic, cultural and economic hub it’s an exhilarating place and makes a great place for a trip for whatever reason. It has a huge choice of places to stay in many areas, so make sure you get advice on booking a hotel close to where is best for your needs. Antoni Gaudi is quintessentially Barcelona; his architecture is a wonderful and unmistakable influence on the city itself. 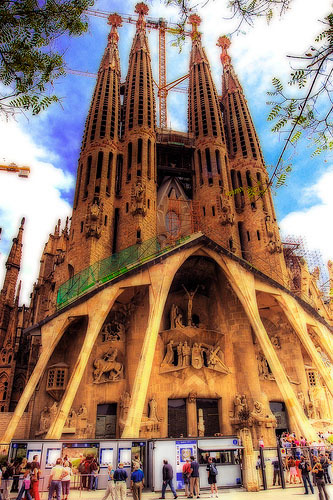 A trip to the Sagrada Familia is a must while visiting Barcelona. The Sagrada Familia, over 100 years old and still unfinished, is a spectacular modernist cathedral, and one of the most eye-catching pieces of architecture in the world. A mix of Gaudi’s imaginative take on nature and the modernist architectural school of thought, its sharp pointed towers make it a distinct and thoroughly impressive site. Gaudi’s Casa Mila, close to the city centre, is an apartment of epic and opulent proportions. Utilising Gaudi’s individual style, it was built in 1912 for a wealthy couple. Its roof is one of Gaudi’s most photographed and best known creations, due to its bizarre phallic chimneys. Inside, there is something very Alice in Wonderland about the nonetheless spectacular design of the abode. Park Guell is a notable achievement, even for the eccentric Antoni Gaudi. A UNESCO world heritage site, it took 14 years to build and the focal point of the park is the main terrace, surrounded by a long bench in the form of a sea serpent. Its mixture of mosaics, bizarre buildings and mosaic dragon are a site to behold and showcase Gaudi’s one-off ability and talent. Joan Miro is also of Catalonian extraction and another of the greatest creative’s of the 20th century. Miro’s works are best seen in the Joan Miro Foundation in Montjuïc in Barcelona. Completed in 1975, the museum holds a large selection of Miro’s original works, including a selection of paintings, sculptures and tapestries created by the great man himself. Just like most of Barcelona, Miro’s art can be seen in the everyday life of the city. From his mosaics on Le Ramblas to sculptures like Dona i Ocell, Miro’s work like Gaudis is accessible every day – a wonderful and life-brightening thing. Barcelona is not only famous for its art – sport plays a huge role and no team is bigger in this field (excuse the pun) than FC Barcelona. 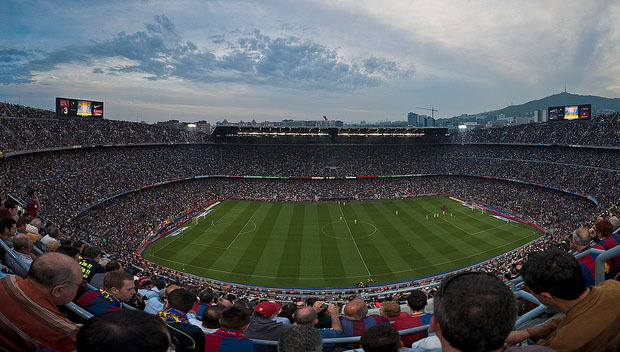 The Nou Camp is a sacred cow in Catalonian’s eyes and is a truly wonderful sporting arena. It’s the largest stadium in Europe holding 500 people short of 100,000 and considered one of the greatest football theatres on earth. The Olympic Village is also a fantastic thing to visit while in Barcelona, Its main point of attraction is the cable car up to it, which offers spectacular views of the city and also the surrounding sea area. The journey is not expensive and you will not get a better view of the expanse of Spain’s second city than from the cable car. Barcelona is one of the world’s greatest cities to be sociable in. From Paella to Tapas to drinks to nightclubs – Barcelona is hard beaten. Paella – a seafood dish of rice and a mixture of local fish is an amazing meal – as are finger foods such as Tapas – especially when combined with a few beers. Barcelonetta, beside the bay offers the best value and quality for the above. 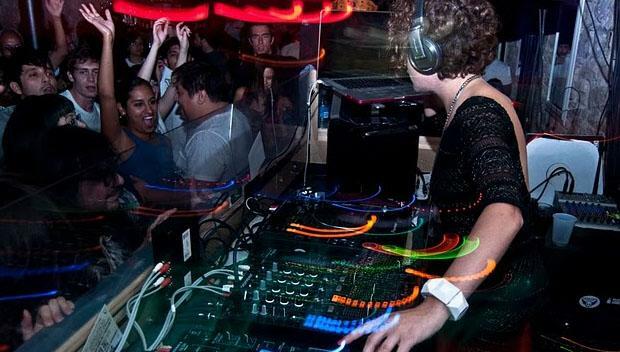 For drinks and clubbing, Barcelona is a global leader. Between street performers on Le Ramblas in early evening or the bars and clubs of old town, prepare to enjoy yourself and you may even see the sun come up. The Gothic Quarter is a mix of bars and clubs where you can make early morning homecomings happen, with plenty of little bars and underground clubs to please. Other places of note for late night excursions are Port Olimpic and Le Raval. Barcelona is a vibrant and exciting hub for young and old, culture seeker or party goer, foodie or sport nut. It offers a selection of options depending on what you’re looking for from a trip. Discount codes can offer great opportunities, especially if you wish to make the most of this great diverse metropolis. Markus Salivas the author of the “Barcelona tourist review” is a Barcelona borne and raised DJ who likes to travel and blogs about music around the world.